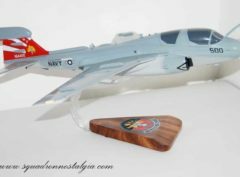 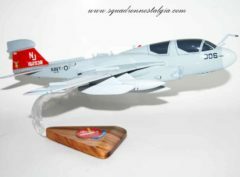 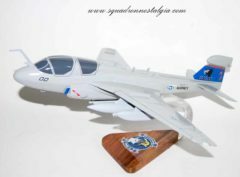 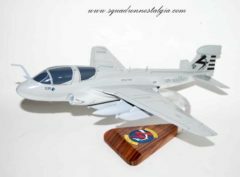 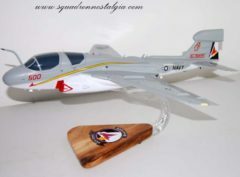 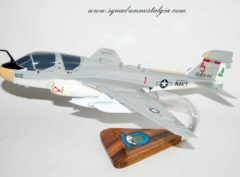 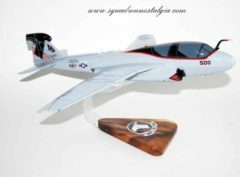 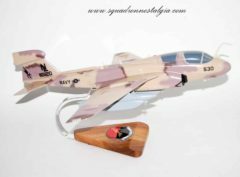 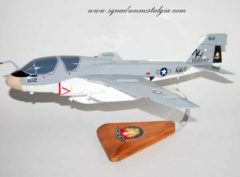 The Northrop Grumman (formerly Grumman) EA-6B Prowler is a twin-engine, four-seat, mid-wing electronic warfare aircraft derived from the A-6 Intruder airframe. 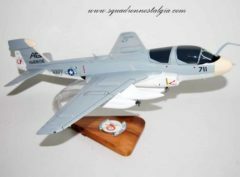 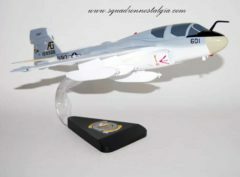 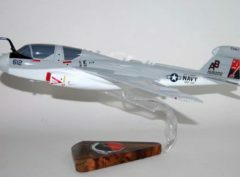 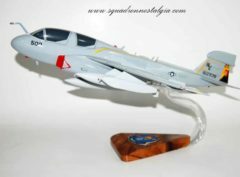 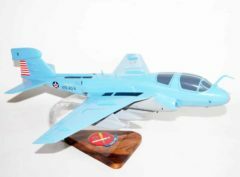 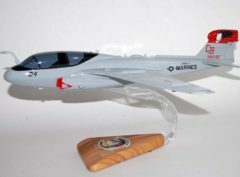 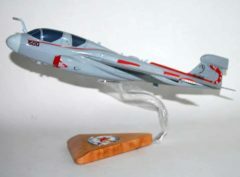 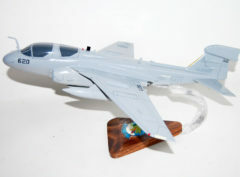 The EA-6A was the initial electronic warfare version of the A-6 used by the United States Marine Corps and United States Navy. 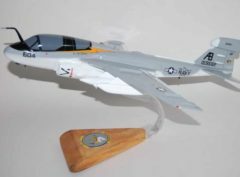 Development on the more advanced EA-6B began in 1966. 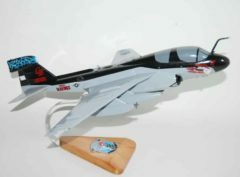 An EA-6B aircrew consists of one pilot and three Electronic Countermeasures Officers, though it is not uncommon for only two ECMOs to be used on missions. 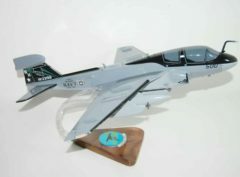 It is capable of carrying and firing anti-radiation missiles (ARM), such as the AGM-88 HARM missile. 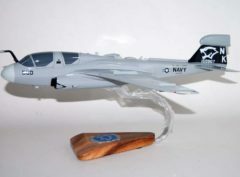 The Prowler has been in service with the U.S. Armed Forces since 1971. 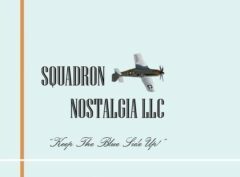 It has carried out numerous missions for jamming enemy radar systems, and in gathering radio intelligence on those and other enemy air defense systems. 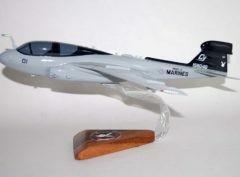 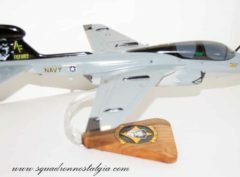 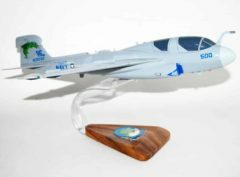 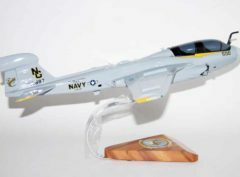 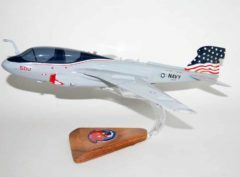 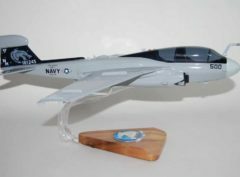 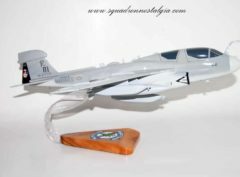 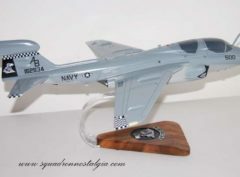 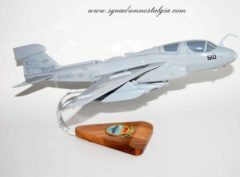 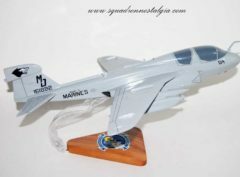 From the 1998 retirement of the United States Air Force EF-111 Raven electronic warfare aircraft, the EA-6B was the only dedicated electronic warfare plane available for missions by the U.S. Navy, the U.S. Marine Corps, and the U.S. Air Force until the fielding of the Navy’s EA-18G Growler in 2009. 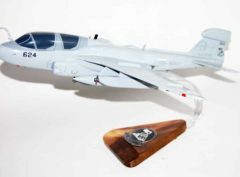 Following its last deployment in late 2014, the EA-6B was withdrawn from U.S. Navy service in June 2015. 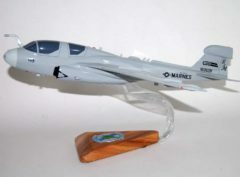 The USMC plans to operate the Prowler until 2019.